WASHINGTON -- The United States on Wednesday sanctioned Chinese and Russian firms for their alleged role in helping illicit trade with North Korea in violation of international sanctions. 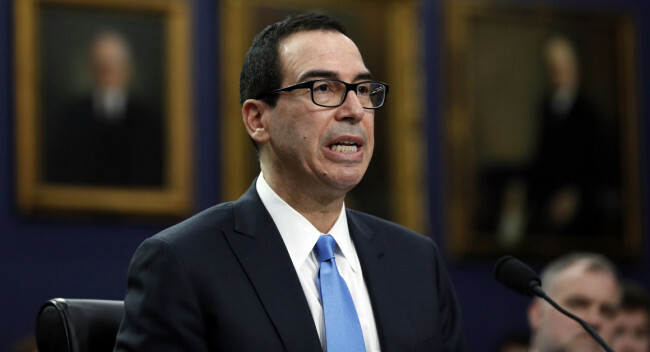 The Department of the Treasury announced the designations of a Chinese business, its Singapore-based affiliate, a Russian firm and its director general, whose dealings in the US and with American citizens must be blocked. The new sanctions demonstrate the US commitment to keep pressure on North Korea until it abandons its nuclear weapons and ballistic missile programs in line with an agreement reached by US President Donald Trump and North Korean leader Kim Jong-un in June. The illicit cigarette trade has reportedly generated more than $1 billion in annual revenue for the Pyongyang regime, according to the department. Last year the UN Security Council passed a series of resolutions sanctioning the North for its sixth test of a nuclear weapon and multiple tests of ballistic missiles capable of reaching the US. US Secretary of State Mike Pompeo has urged the international community to keep enforcing sanctions on the regime, saying last month that North Korea continues to smuggle oil products into the country through illegal ship-to-ship transfers.